Much like the Olympics, music is a constant tug-of-war (which was actually an Olympic competition from 1900-1920) of sounds and artists vying for attention. Akin to Olympic swimming, at the local/independent level, you get the lane eight swimmers, or those who don’t have the sponsorships, rich parents, or a country that supports them with baby-seal swimwear. At the Kanye level you get the lane three swimmers, you know, the ones who get caught doping but still fail to medal. And although the gold medal swim was dope, and really awesome, it still wasn’t the most captivating splash. And while the hard working bands give it their all, yet fail to make a captivating splash to the national broadcast, it is nothing to scoff at; they’ll still move you with their story. One such story is Curtis/Sutton. 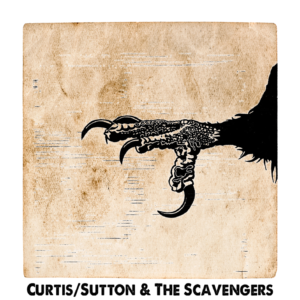 The recent release aptly titled by Curtis/Sutton & The Scavengers is hardly the sound that will grace the plaza of the Today show any time soon but is well worth tuning in to experience. Reminiscent of a warm, late summer wind slithering through the trees, the six tracks of Curtis/Sutton sways humbly along. With steely, vintage qualities driven by foot tapping rhythms that pair as nicely as a front porch and a long afternoon, the EP prevails. If you’re unfamiliar with the swagger-stomp sound of Charlie Sutton and Ryan Curtis, you can be forgiven. After all, this is pretty much the debut EP. Though the duo has been working together since about 2013, they have become known around the Treefort Music Fest and local Treasure Valley scene. It is not until now, with six solid Americana tracks, that their sound can make a foothold. Stringing a dance of acoustic guitars with the occasional banjo and back-woods jam stylings, Curtis, Sutton, et al string together hypnotizing melodies that roll as smoothly as the landscape. Toss in the shared vocal leads throughout, adding the whiskey soaked rasp you’re looking for, and tracks such as the must-have road trip “Lonesome Drive,” with plucking banjo build-up to reflective determination, or “Quiet Man” that matter-of-factly drives “take this hand for better/but you ain’t seen me at my worst,” or my favorite “Scavenger,” with sincere folk/songwriter assembly, and this becomes an EP I simply can’t put down. Far too often we want to see the fireworks and bright lights of grandeur. It is easy to root for the big budget winners, but when we step back and appreciate the rest of the field we can find that there is a lot of hard work and beauty without all the pomp and circumstance. It is precisely this drive that makes Curtis/Sutton largely a win. 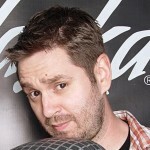 Greg is a co-founder and regular contributor to Nanobot Rock. He enjoys long walks in the hills and brunches with local bands. This entry was posted in Reviews and tagged Americana, Boise, CD, Curtis, Debut, Folk, music, record, Scavengers, Stomp, Sutton, Treefort by Greg. Bookmark the permalink.